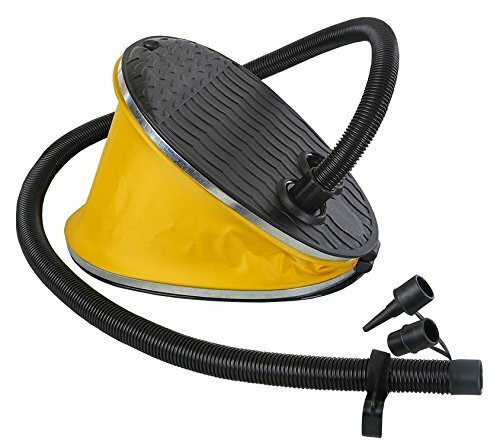 Stansport High Bellows Foot Pump has a low pressure, high volume step down action. It inflates and deflates with long flexible hose and comes with two adapters for flutter type valve. Easy to use.